GETTING STARTED – Home Restoration Services, Inc. Many remodeling projects are driven by change. You may have purchased your home dreaming of how you would remodel it someday, and “someday” is now. Maybe you are starting a family, planning for a bigger family, or maybe your children are outgrowing rooms once big enough for a child, but not for a teenager. Your love of cooking may have you dreaming of a Kitchen Addition. Maybe that area next to your bedroom can finally become the space you’ve wanted for a Master Suite. You might envision your old deck transformed into a Four Season Room that expands your living space. Or maybe a job change requires converting the basement or attic into a Home Office. Whatever drives your remodeling project, your best place to start is with a design professional who can capture your dreams on paper. 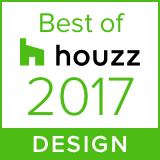 Over the years we have had the pleasure of working with some of the best Architects and Designers in the Twin Cities, and we are happy to refer you from here. We specialize in taking those ideas and building them into your home.